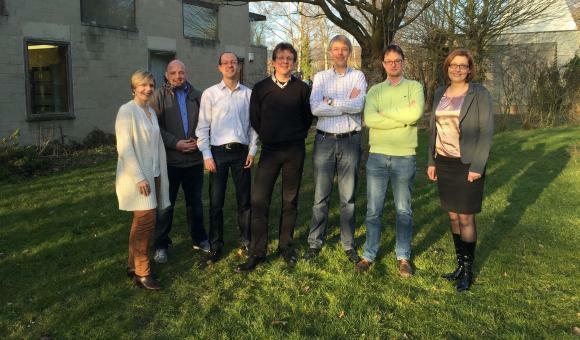 Last October, this Liège-based start-up company took over its German competitor, Raytest. This acquisition launched this world leader into the quality control of nuclear pharmacy products. Based at the Cyclotron Research Centre in Liège, the start-up company Elysia bought out its main competitor Raytest, which was placed into receivership in Germany. Since then, active in the quality control of radiopharmaceuticals, it has risen to the level of world market leader. Its workforce has grown from 8 (at its founding in May 2014) to 38 people, and turnover is expected to be around € 5 million. This agreement was possible due to the small structure of the company, which allowed it to respond more quickly than the other companies interested. In this context, the start-up benefitted from the financial support of Sofinex and crowdfunding platforms such as Meusinvest, Inventure and Mymicroinvest. Raytest’s difficulties stemmed from a bad investment in animal scanners, a sector dominated by strong competitors with which it was unable to compete. Elysia does not intend to make the same mistakes, and is happy to join together with Raytest in order to supply equipment for manufacturing radio pharmaceuticals. Elysia provides solutions that allow the nuclear medicine departments of hospitals to measure radioactivity and check the quality of radio pharmaceuticals, so that they can ensure the quality of these products before injecting them into cancer patients.